Hot time summer in the city! tSB youth have been spending the summer out in the sun learning how to skateboard, getting sweaty working on community projects, and working literally in the heat of it learning to blow glass. 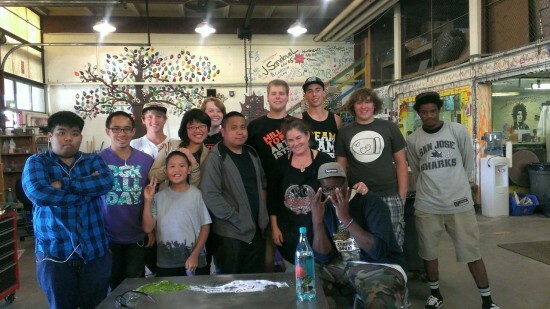 At our most recent glass blowing trip one of our tSB participants took a moment to share his thoughts on the experience of glass blowing and what was running through his mind as he created his first piece of glass art. On the day of Aug 12, 2013 I experienced a burning sensation–literally. 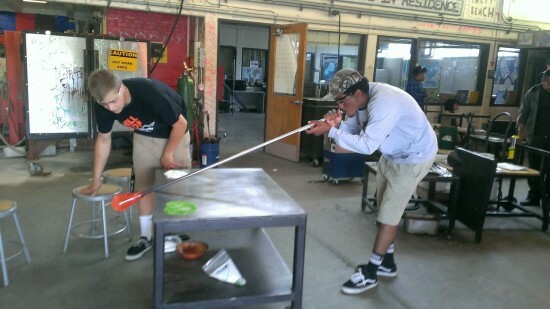 Blowing glass is not as easy as it seems but is definitely worth it. There are a lot of complicated processes in glass blowing. In the process I was able to make a good looking bowl big enough for a man like myself. Blowing on the colorful diamond, huge.